The Stacy Square Storage Vanity Stool aims to add some functional storage space to the entry way, living area or bedroom. The unique storage bench design features a removable and comfortable seat cushion. Crafted beautifully with a single hand tuft on the lid and pleated skirting, this storage cube brings class and lounging comfort to any room in the home, whether it’s used as a footrest or additional seating for guests. This is a nice vanity stool for the money. The fabric gives it a luxe feel and the color is a good medium gray. The nailhead trim adds to the designer look. The only issue I have found is that functionally it is a bit clumsy for me. The legs have nylon sliders on them, so it does "scoot". But, when I go to pull it out from under my vanity there is just no real easy way to grab a hold of it to scoot it out. The lid is not affixed, so it usually comes off if I attempt to scoot it from the top. I need to grab the base with both hands to scoot it out. I've been working on resolving the issue and recently attached small 1" swivel casters to the bottom to help it move more easily. My next project is to add a fabric loop or handle where the lid sits on top of the base so that I can easily pull the stool out. Obviously, if you are using this in a location where it doesn't need to be moved, this won't be an issue for you! Would give this 10 stars ! Great quality ! actually prettier than the pic. Wish this was offered in more colors, would literally purchase for every room in my home . This stool is just what I was looking for! It is beautiful and matches my bedroom perfectly. This was the perfect color. I also got Jennifer Taylor bed for newly remodeled master bedroom. 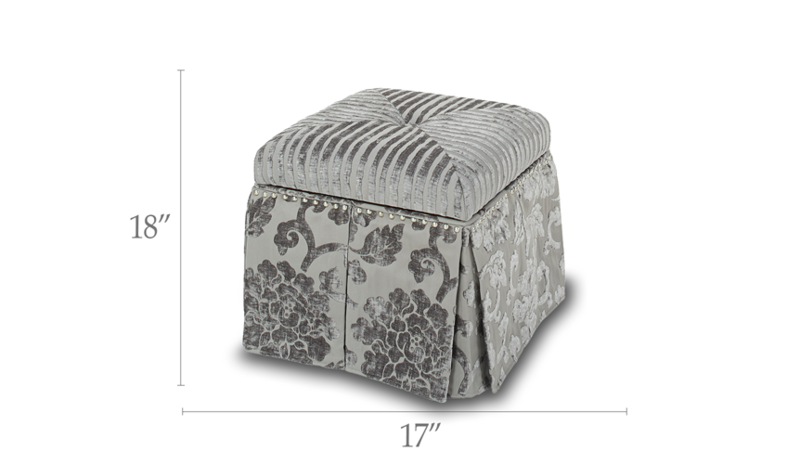 The ottoman is the correct height and very sturdy. Perfect for a master closet. Beautiful color and material! Nice size, comfortable, stylish and provides extra storage. Great product and looks wonderful in my space. Very unique and useful for storage as well. Love the fabric. 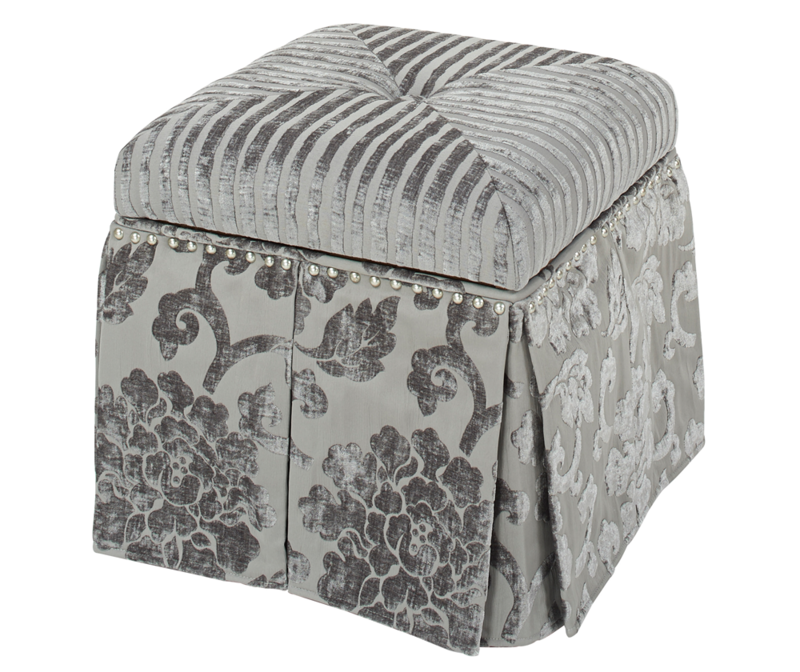 This ottoman is absolutely beautiful and less than half the price of others I had looked at. I am using it as a stool in my bathroom. I cannot express how much I love this piece!